Please join us for SmartStart from 10 a.m. to 3 p.m. on Move-In Weekend, September 22–23! 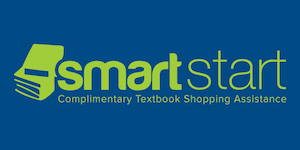 The UC Davis Stores SmartStart program is a complimentary, personalized service that assists new students with buying or renting textbooks. Staff will help you acclimate to the Campus Store, shop for your essentials and share information about our award-winning digital textbook program, Inclusive Access. The Campus Store carries everything students need to start college—from basic supplies like paper and pencils to Apple products at the TechHub. Look for employees wearing bright green shirts to get started. You also have a chance to win free textbooks! Take the shuttle. From 11 AM to 3 PM, the SmartStart shuttle runs every 20 minutes between Tercero/Segundo and Cuarto Residence Halls and the Campus Store.